It was just another drug possession case and it was cut and dried. Prosecutors were convinced that the damning evidence and testimony collected and presented to the jury were more than enough to secure a conviction. Better yet, two police officers actually saw the suspect holding the drugs when they arrested him. “How could the jury come back with anything but a conviction?” thought Illinois State Attorney Robert Haida. After all, they had the bad guy cold. Bob Haida had just experienced a CSI moment. With millions of potential jurors tuning in to television shows like CSI, CSI: Miami, CSI: New York, Cold Case, NCIS, Law and Order, Law and Order: Criminal Intent, Without a Trace, the possibility that jurors have seen at least one episode is highly likely. The result: too many jurors expect DNA, fingerprints and other undisputed evidence be presented at every trial. Prosecutors call it the “CSI effect,” and Haida and the law enforcement community are wary. They point out that most communities don’t have the resources to investigate cases as thoroughly or as rapidly as they do on television. On television, the CSI techies never have a problem collecting and testing DNA and fingerprint evidence and getting proof positive results in about 40 minutes of airtime. There’s never a manpower shortage, a backlog of cases or any concern about budgets. Each investigator focuses on one case and runs every available scientific test on every case. They’re attractive, dress stylishly, drive Hummers, and they always get the bad guy to confess in time for the nightly news. But with its growing popularity, are CSI and its offspring tainting the jury pool? Are juries influenced by television’s forensic experts using high tech tools sometimes usually not available to local police departments? Do jurors have TV-fueled unrealistic expectations about proving guilt beyond a reasonable doubt? Law enforcement officials take these questions seriously. So seriously, that in June 2005, Maricopa County, Arizona, the country’s fourth most populous county, prepared a formal report on the phenomenon. Titled, “The CSI Effect and its Real-Life Impact on Justice,” the report said that nearly 40 percent of county prosecutors believed they had at least one trial that ended in either an acquittal or hung jury when forensic evidence was not available. 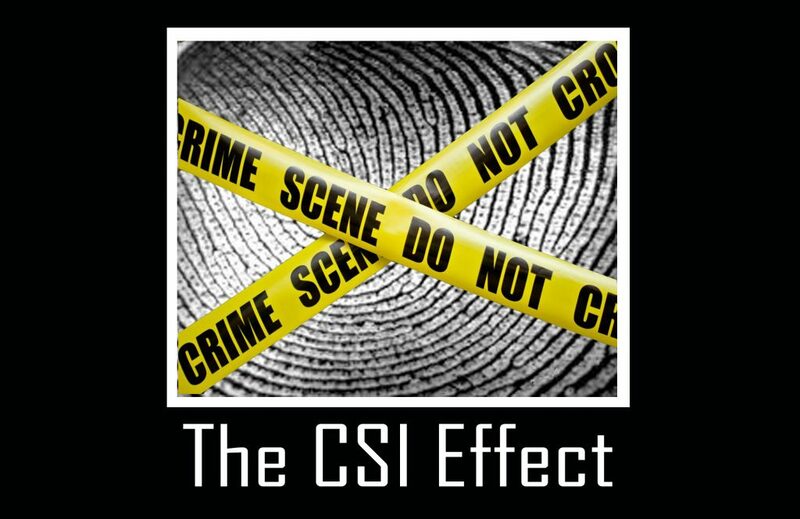 But if CSI and similar television shows are having such an impact on juries, just how accurate are they? According to one real life CSI expert, not very. “CSI shows what is possible forensically, not what commonly happens,” said Sergeant Jay Zuma, an Illinois State police officer and field supervisor of the Metro East Crime Scene Unit in Fairview Heights, Ill. According to Zuma, real crimes are still solved by good, old-fashioned police work. Television is such an influence these days that prosecutors now ask members of a jury pool about which shows they watch. Viewing habits do influence jurors, says John J. Riley, Presiding Judge of the 22nd Court of Missouri in St. Louis. He said that although he’s never seen the television show, he’s well aware of the CSI effect in his courtroom. Are legitimate crime scene investigators worried about criminals learning all the tricks of his trade via a television script? Are the bad guys getting smarter? Not really, submits Sergeant Zuma. Besides, CSI life really does imitate the series at time. He recalled one incident when a predator sexually assaulted a woman. He worked the scene in the morning, brought the evidence back to the lab, and gave it to one of his most experienced fingerprint examiners fifteen minutes before lunchtime. Fourteen minutes later, the examiner had a fingerprint match from the computer system. Zuma got to lunch on time and he also got a conviction. “No matter how careful a criminal is, there can be evidence at the crime scene,” he said. “We can identify a suspect from just a fragment of a fingerprint. I’ve even seen DNA cases where we find a speck of a blood smaller than a pin head embedded in a shoelace that’s gone through the washing machine. Fantastic things do happen, just not every day. So maybe CSI the television really does depict life in a real crime scene unit.